Site messaging to help them shop different categories, story by story. Click to see full page. GapFit is at the forefront of studio-to-street style. The technical but conversational voice helps add pieces to her workout wardrobe with cool ease and confidence. We introduced a lot of new things in the new year—resolution-ready styles, a collection to dance in and GapFit for everyone. What she (actively) wears and does says a lot about her. So why not encourage packing gear that works just as hard as she does? 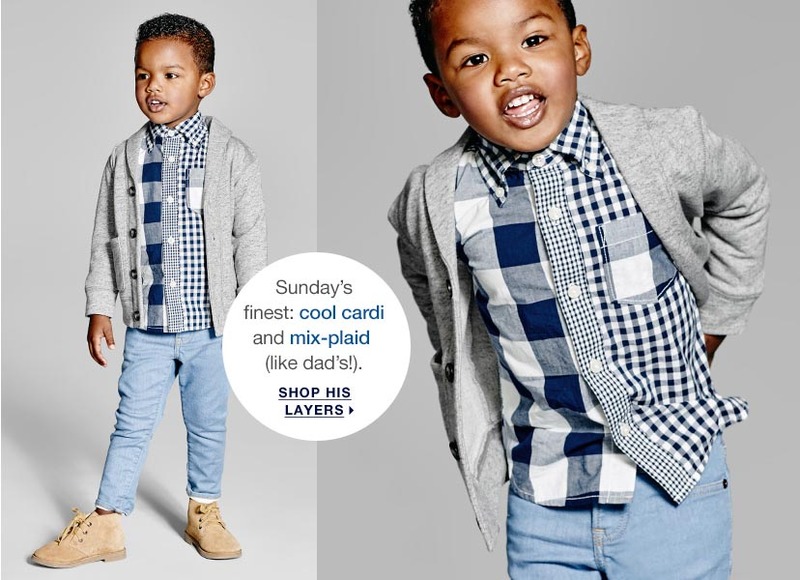 Following in the steps of its older sibling, GapKids, the toddler voice helps mom shop with playful end use and easy style tips in mind. 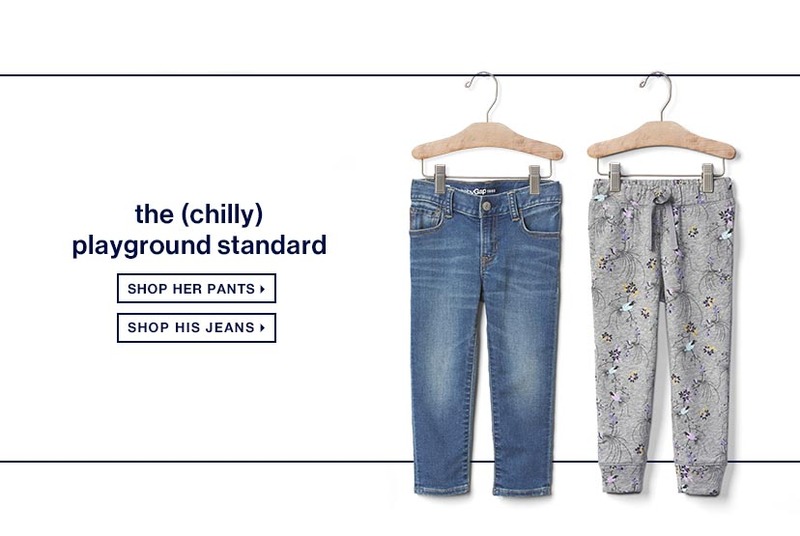 We love making mom's job easier with outfitting guides: spring occasions, vacation-ready options, rainy day gear, even sleep! Our lists do double duty. 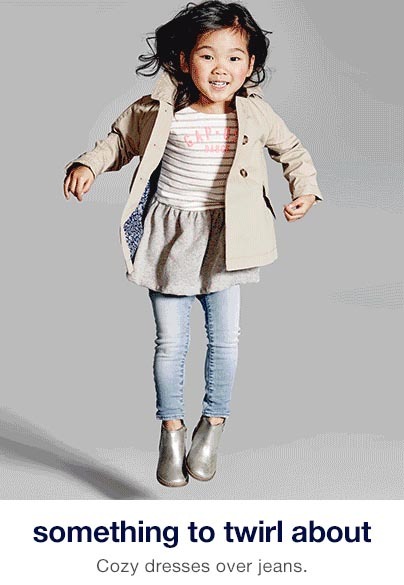 They help keep mom sane and ensure tots are properly dressed (extra cute!) every season. CHECK. MARK. Falling in love with our products is easy to do. Especially when we spotlight them as weather, time or activity-based solutions.